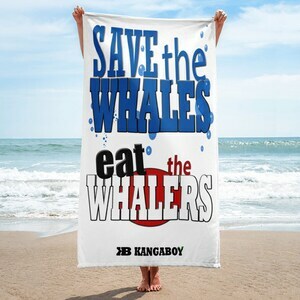 Be the most respected and vibrant animal lover on the beach or give your bathroom a vibrant look and wrap yourself up with this super sized, super purposed, super soft and cozy Wildlife Awareness beach towel. 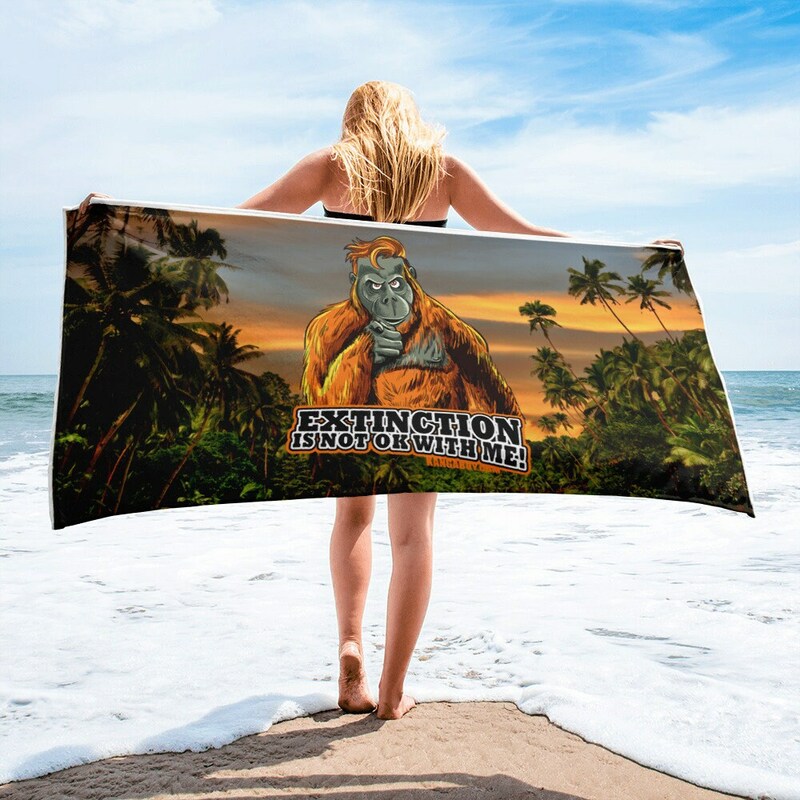 Be part of the Global Kangaboy Mission with this new inspiring Orangutan towel on the beach or at home, raising Awareness to the plight of our endangered wildlife and the current mass extinction event threatening almost every wildlife species and natural habitat left on earth. 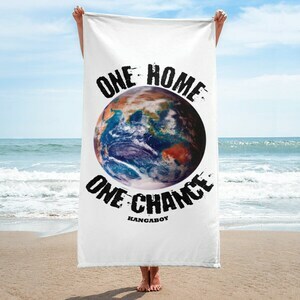 Kangaboy donates to non-profit and non-government-funded animal and earth saving organisations. 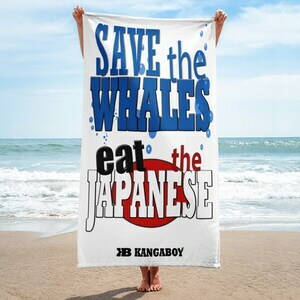 Extinction design donations will help The Orangutan Project.